Caretium Medical Instruments Co, Limited was established in 2001, specialized in manufacturing, developing clinical diagnostic instruments, and marketing products with high standard after-sales service. 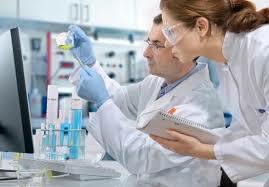 We gain great reputation for our high-quality and cost-saving products, because we own a strong R&D team, congregate specialists in clinical medicine, mechanical engineering, software, measurement and control fields; and more than 65% of our staff have technical background. Currently, we have 32 offices in China, distributing instruments and providing after-sales service to approximately 5000 hospitals, clinics, and healthcare facilities. We have OEM partners in EU, India and Middle East and more than 60 distributors throughout the world are cooperating with us. We serve our clients with integrity and dedication, take the road of scientific and technological innovation and build our corporate image with high standard, high efficiency and advanced technology!